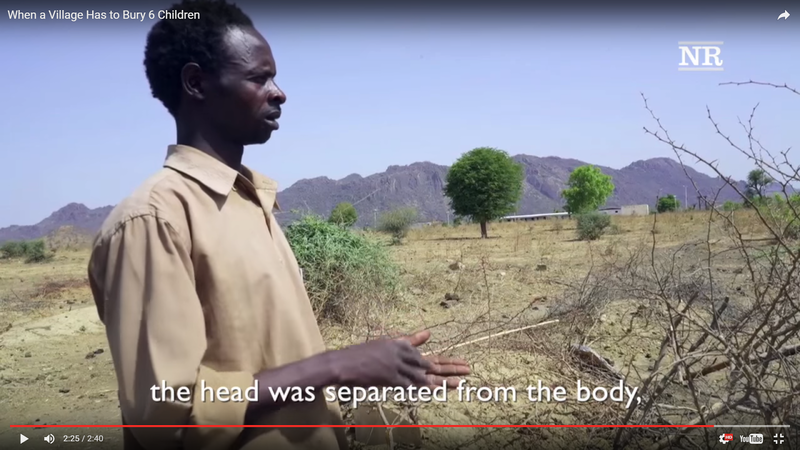 SUDAN: Massacre in Heiban as Nuba Genocide enters its Sixth Year. Photos emerging from Heiban in South Kordofan’s conflict-wracked Nuba Mountains provide fresh evidence that the Government of Sudan continues to perpetrate crimes against humanity. At 6 p.m. on 1 May, two Sudanese Air Force MiG fighter jets attacked residential areas within Heiban town in the Nuba Mountains of South Kordofan, killing six children, three from one family: Nidal Abdolrahman Ibrahim (12), Ibrahim Abdolrahman Ibrahim (10), Jihan Abdolrahman Ibrahim (5), Hafez Mahmud (10) Kuku Dawli (4), and Yusif Yagoub (4). Having seen the photos, I can tell you, that the heads and limbs of these small children were literally shredded. What is most important to understand is that the “Heiban Massacre” is not an isolated incident. 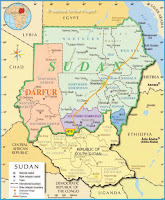 To the contrary, it is but one episode in the Government of Sudan’s genocidal jihad against the non-Arab and mostly non-Muslim peoples of Sudan’s “New South” – Abyei, South Kordofan and Blue Nile – a campaign that has just entered its sixth year. 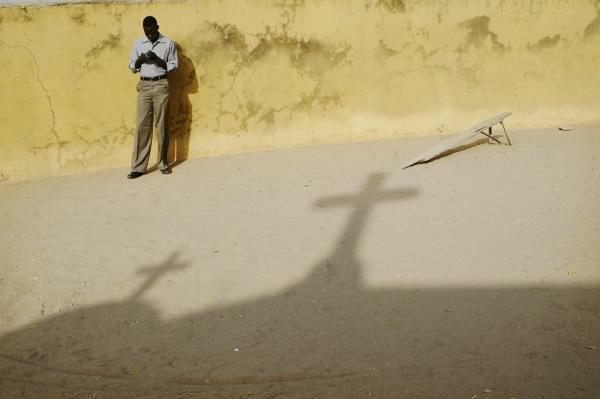 For the Christians of the Nuba Mountains, it is the second genocide in a generation. On 9 January 2005, the Government of Sudan (GoS) and the Sudan People’s Liberation Movement (SPLM) signed the Comprehensive Peace Agreement (CPA) ending more than 20 years of civil war and Islamic jihad. The CPA gave the GoS seven years in which to “make unity attractive”. 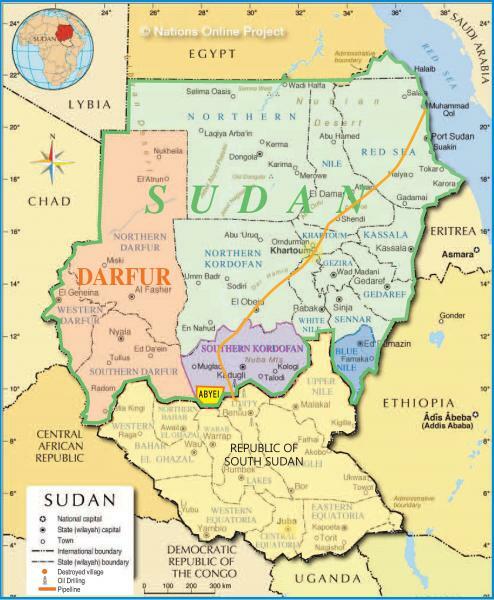 After that time, South Sudan would be entitled to hold a referendum on self-determination; and the three contested non-Arab and SPLM-aligned regions would determine their own futures: Abyei (which straddles the North-South border) was supposed to get a referendum; while South Kordofan and Blue Nile states (both in the north) would be entitled to popular consultations. As the seven year interim period drew to a close, the GoS realised that, having failed spectacularly to “make unity attractive”, it was on the verge of losing 25 percent of its land mass, 80 percent of its forests and 75 percent of its oil. To the Arab-supremacist Islamists in Khartoum, the secession of South Sudan would make this fatwa and this genocide more urgent than ever. As the 9 July 2011 referendum on southern secession loomed, the GoS moved pre-emptively to seize control of the three contested regions: oil-rich Abyei and South Kordofan, and Blue Nile which has gold, water and which generates hydro-electric power. The assault on South Kordofan started on 5 June 2011 with door-to-door “sweeping” operations in the capital, Kadugli, designed to “decapitate” the Christian community. These were followed by aerial bombardments, scorched earth warfare and the closure of the region to all humanitarian aid: an act designed to facilitate mass starvation. On 9 July 2011, South Sudan voted overwhelmingly to secede from Sudan; and on 28 August 2011, GoS forces flooded into Blue Nile. by Religious Liberty Analyst Elizabeth Kendal, 24 June 2011. By Religious Liberty Analyst Elizabeth Kendal, 13 Sept 2011. On 31 August 2014, Sudan’s most senior military and security officials met in the National Defense College, Khartoum, for a Military and Security Committee Meeting to discuss the “Management of Military Activities”. The minutes of that meeting were leaked to long-time Sudan expert Eric Reeves, who had them translated and verified as authentic. The minutes reveal an official policy of genocide by means of mass starvation – and not only across the New South, but in the refugee camps in South Sudan's oil-rich Unity and Upper Nile states, which Khartoum wants closed. Complete text: minutes for the August 31, 2014 meeting of senior NCP security/military officials. Eric Reeves, 29 Sept 2014. AND "On the move again; 70,000 refugees compelled to leave [Yida] Camp." Nuba Reports, 18 Dec 2015. In November 2015, Sudan’s Defence Minister Awad Ibnauf assured the federal parliament that all areas controlled by the Sudan People’s Liberation Army-North (SPLA-N) “will be liberated through a massive military operation”. In early February 2016 observers reported seeing massive columns of troops (army and paramilitary – including foreign jihadists) moving into South Kordofan along with heavy weapons in preparation for this year’s dry season offensive. See: "SUDAN: Nuba brace for more jihad"
By Religious Liberty Analyst, Elizabeth Kendal, 17 Feb 2016. Having encircled the Nuba Mountains, the GoS is now bombing and strafing civilian areas, as evidenced by the 1 May 2016 attack on Heiban. Though massively outnumbered and out-gunned, the Sudan People’s Liberation Army-North (SPLA-N) is holding its ground. Latest reports:"Nuba Conflict Intensifies as Rains Arrive"
"The Shrapnel Finds Us Wherever We Hide"
"'Thousands' fled bombing in Sudan's Blue Nile this month"
Meanwhile in Khartoum, hundreds of Sudanese political and civic actors, as well as individuals have signed a petition condemning and expressing their horror at the 1 May 2016 “Heiban Massacre”. Signatories include 29 heads of all the major opposition parties in Sudan, 30 representatives of civil society, along with hundreds of individuals. Eric Reeves, 13 May 2016. Why, as the Nuba face the existential threat posed by greed-fuelled, state sanctioned, genocidal racism and Islamic jihad, they are abandoned to their fate? Why is their plight of such little interest to the West? Is their plight too politically incorrect? Are they too Christian at a time when Western “progressives” are dreaming of a post-Christian age? One thing is certain, this genocide will continue until either the Government of Sudan achieves its aim of repopulating the resource-rich “New South” with Arab Muslims loyal to Khartoum, OR, nations of conscience act together, with conviction and commitment, to force Khartoum to stop the killings, open the regions, and start the hard work of finding sustainable solutions. Elizabeth Kendal is the author of Turn Back the Battle: Isaiah Speaks toChristians Today (Deror Books, Dec 2012), which offers a Biblical response to persecution and existential threat. Her second book, ‘After Saturday Comes Sunday’: Understanding the Christian Crisis in the Middle East, is being published by Wipf and Stock (Eugene, OR, USA), due for release in the coming months.